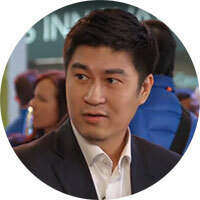 Ben Tan is the Market Development Director for IOT Health at Intel. His work focuses on developing solution ecosystems that drives Remote Care as a Standard of Care for international markets, and driving go to market into Care and Health providers who value interactive AI driven platforms that augment the patient engagement experience. Prior to the Health appointment, Ben led IOTG’s Smart Home product development. Ben is a startup veteran who spent 18 years developing consumer facing technologies sold through retail and service channels.